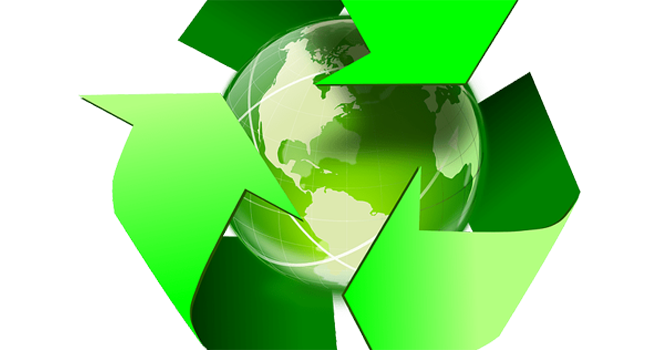 Powys County Council has been named as one of the leading recycling carbon-savings councils in the England, Northern and Wales, according figures published last month. The council has been placed fourth in Eunomia’s recycling carbon index, achieving a carbon saving of 103kg per person. Cheshire West and Chester (109kg), North Somerset (108kg) and Ceredigion (104kg) councils made up the top three of the league table. Eunomia’s league table calculates the amount of carbon dioxide emissions that are prevented as a result of local residents’ recycling efforts. Recycling saves greenhouse gas emissions because it avoids waste being sent to rot in landfill or burned in an incinerator – and because it reduces the need for energy-intensive extraction of raw materials. Cllr John Powell, Cabinet Member for Environment and Sustainability, said: “To be one of the leading recycling carbon-savings councils in England and Wales is excellent news. “Not only is the county recycling more items but we are reducing the amount of carbon dioxide emissions we produce as part of the recycling efforts of householders. I would like to thank Powys residents for helping us to achieve this as we couldn’t have done it without them. “The latest figures show that householders in the county are recycling more. In July, householders recycled more than 3,850 tonnes of materials, an impressive 67 per cent of all material and well above the Welsh Government’s statutory target of 58 per cent of material being recycled during the year. “As a result of the increase in recycling, the amount of residual waste that is being sent to landfill is falling, with 25 per cent less this July compared with July 2015. “We are also very pleased to report that the quality of our plastic recycling collected in the red boxes has dramatically improved since we have been asking people to take out the plastic film and we would like to thank our residents for their continued support. “However, we know that we can recycle more. A Welsh Government waste composition analysis showed that one third of waste in the black wheeled bin could be recycled.